For some, getting a mammogram is a routine. For others, maybe not so. But in either case, there's a certain amount of nervousness the patient experiences as she awaits the results. "Most of the time, there's no bad news," says Karen Rizzo, MD, 2015 president of the Pennsylvania Medical Society and a practicing physician in Lancaster. "Unfortunately though, some will be told they should have a biopsy, possibly leading to those dreaded words 'you have cancer.'" What happens next depends upon the patient and her situation, says Dr. Rizzo, but there are a few similarities from patient to patient as they fight cancer. 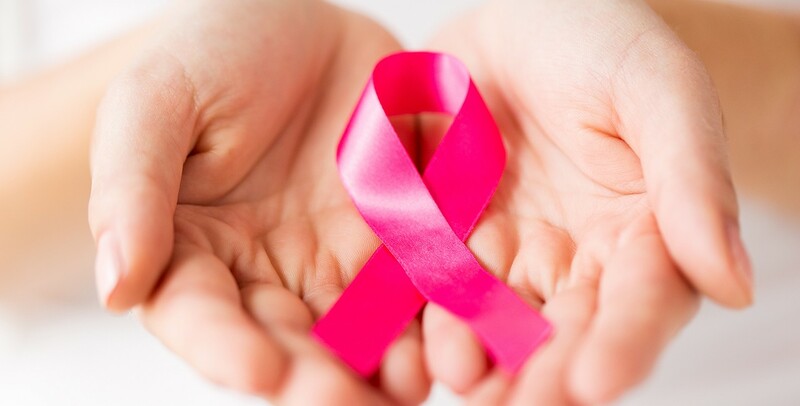 Breast cancer is a malignant tumor that starts in the breast. A malignant tumor is a group of cancer cells that can invade other parts of the body. This makes cancer quite troubling. For American women, breast cancer is the second most common cancer (second only to skin cancer). About 12 percent of women in the United States will battle invasive breast cancer at one point during their lifetime. In Pennsylvania, according to the Pennsylvania Breast Cancer Registry, breast cancer is the most common cancer among women and about 30 cases are diagnosed each day. The age-adjusted incidence rates for female breast cancer in Pennsylvania typically mirrors the US rate. Although cancer is never good news, statistics show the mortality rate of female breast cancer dropped both nationally and within the Keystone State between 2000 and 2010. The number of breast cancer deaths in 2013 reported through the Pennsylvania Cancer Registry was about 2,070. Many give credit to the dropping mortality rate to a better understanding of the disease, early detection, and improved treatment plans. "The battle against breast cancer often starts in a medical office specializing in women's health," says Kurt T. Barnhart, MD, MSCE, chair of the Pennsylvania Section of the American Congress of Obstetricians and Gynecologists (PA ACOG). "Some patients come in knowing they have a lump, but many others discover they have a lump through imaging which is one reason why seeing an obstetrician regularly is so important to women's health." According to Dr. Barnhart, who is a practicing OB/GYN in Philadelphia, physicians diagnose breast cancer by combining physical exams, imaging, and biopsies. "Unfortunately, there's no way to prevent breast cancer, although women can reduce the risk by doing a few things such as getting regular physical activity and limiting alcohol intake to lower their risks," says Dr. Barnhart. "Needless to say, exams play an important role." Once tests and exams come back indicating cancer, says David S. Parda, MD, FACP, past president of the Pennsylvania Society of Oncology & Hematology, it's time for the patient and her physician-led healthcare team to come up with a plan to fight it. Dr. Parda, who practices oncology in Pittsburgh, says that many types of physicians are likely to be a part of a patient's cancer care team including a medical oncologist, breast surgeon, surgical oncologist, plastic surgeon, and radiation oncologist as well as their ob/gyn. Some patients may also need a psychiatrist on their team. Also, nurses specializing in cancer care are likely to be a part of the team as well as other health care professionals such as care coordinators. Most women, says Dr. Parda, have some type of surgery as often a tumor needs to be removed. "If this is the case, decisions may need to be made between breast-conserving surgery and mastectomy," says Dr. Parda. Both physical and emotional scars should be anticipated. Fortunately, with the help of plastic surgeons and psychiatrists respectively, those scars can be addressed. Physically, says Benjamin Schlechter, MD, FACS, president of the Robert H. Ivy Society of Plastic Surgeons, surgery to remove cancer can leave the body with a range of scars from small to large. In the worst case scenario, those having a mastectomy may choose to also have breast reconstructive surgery. "Even before having the cancer removed by a mastectomy," says Dr. Schlechter who practices in Wyomissing, "the patient should talk with her breast surgeon and plastic surgeon so that both are working together to best position the patient for reconstruction." According to Dr. Schlechter, there are different types of reconstruction, and timing may depend on the patient's medical situation and personal preference. In some cases, a patient may have reconstruction at the same time of the mastectomy, while others may choose a later date. "Today's techniques and procedures are better than ever before," says Dr. Schlechter. "Clearly, for a patient having a mastectomy, much can be done afterwards for appearance purposes." PAMED's Dr. Rizzo applauds the many breast cancer survivors, both women and men. Their courageous fight can inspire others. "The survival rate is improving, and thanks to dedicated healthcare teams and groups like the Pennsylvania Breast Cancer Coalition, this disease has a formidable enemy determined to wipe it out," says Dr. Rizzo. "The best survival rates are the result of those being diagnosed in early stages, which is why patients should have regularly scheduled, age-appropriate screenings." According to the Pennsylvania Department of Health's Cancer Facts and Figures 2013, the national survival rate for localized breast cancer is nearly 98.6 percent and 84.4 percent for regional stages. Unfortunately, it drops to 24.3 percent for distant metastases. "Statistics clearly show why it's so important for breast cancer to be caught early," says PA ACOG's Dr. Barnhart. "The survival rate is so much higher when this disease is discovered and treated before it has a chance to spread." According to Dr. Barnhart, knowing what matters most often drives breast cancer patients past the disease. "We often hear stories from survivors that cancer shows them what is important in life, and the people who are most important to them," says Dr. Barnhart. "Typically, that gives them the energy to beat cancer and then start a new beginning as they move past the disease."